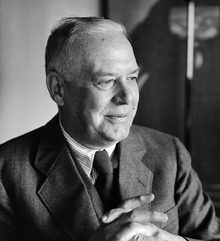 "For (Wallace) Stevens, the physical world was variously bare, chaotic, turning, and without meaning; and our cultural traditions so obviously at variance with the physical world that they could no longer offer acceptable accountings of our passage through it. Like the rest of us, the poet, through the offices of the imagination, must construct fictive reconciliations to the physical world so that his or her life might become bearable, even joyous. .. Stevens turned not to received beliefs, like his religious predecessors, but to the resources of the imagination for accommodating himself to the terms of the transient world." - C. Barry Chabot, in "Fiction, Truth, and the Character of Beliefs", The Georgia Review, Winter 1983 issue. We say God and the imagination are one . . .
And last but not least, whenever there is talk of God and poetry, Wallace Stevens' Sunday Morning comes to mind....so, let me end with these lines from that famous and amazing poem.